What if humans came with an owner’s manual? A simple handbook for making the right choices in life, dealing with roadblocks in the path of our growth, and living life as our authentic selves? Everything would be so much easier. 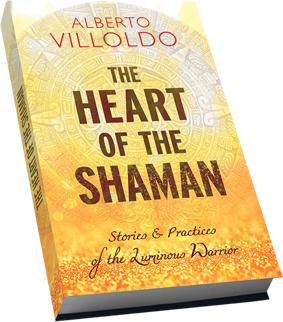 Now, with The Heart of the Shaman: Stories & Practices of the Luminous Warrior, bestselling author Alberto Villoldo offers up a groundbreaking how-to guide for living your greatest destiny. Through stories, practices, rites and ceremonies, Dr. Villoldo explains how to recognize and awaken from the nightmare circumstances of our lives, find our sacred dream, and embark on a journey of transformation and healing—where all the possibilities of the future open up to us. Learn to dream with your eyes open so all the possibilities of the future become available to you! Click on your preferred bookseller to order The Heart of the Shaman.